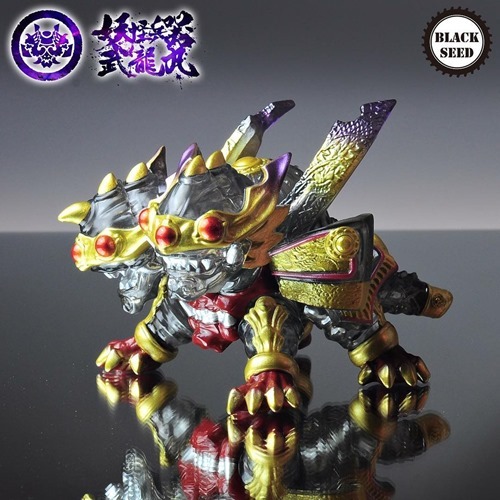 First there was Mini Yu Shou Long, now comes companion piece at the smaller size from Black Seed. 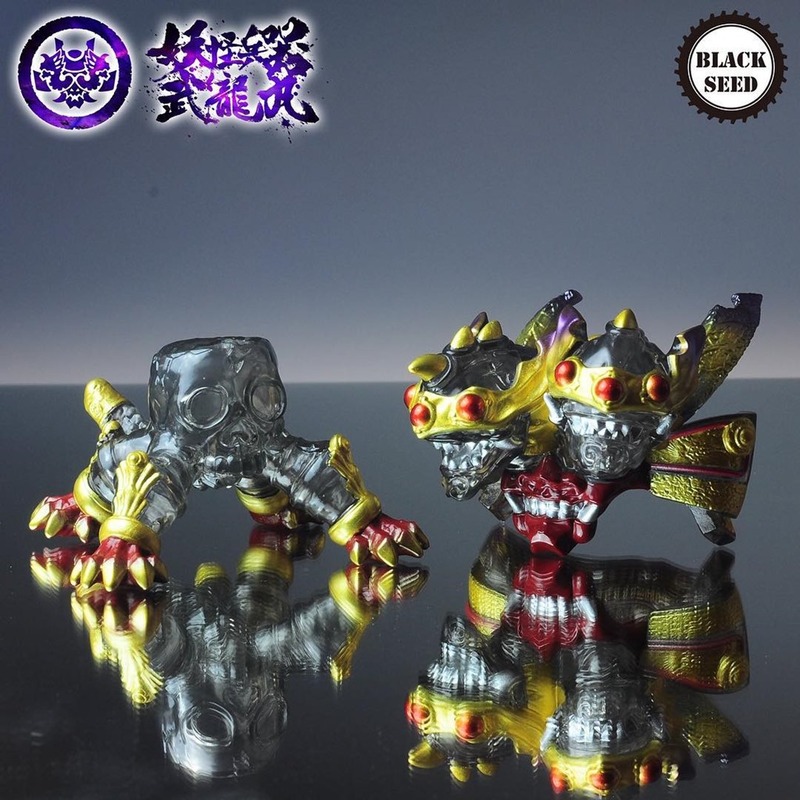 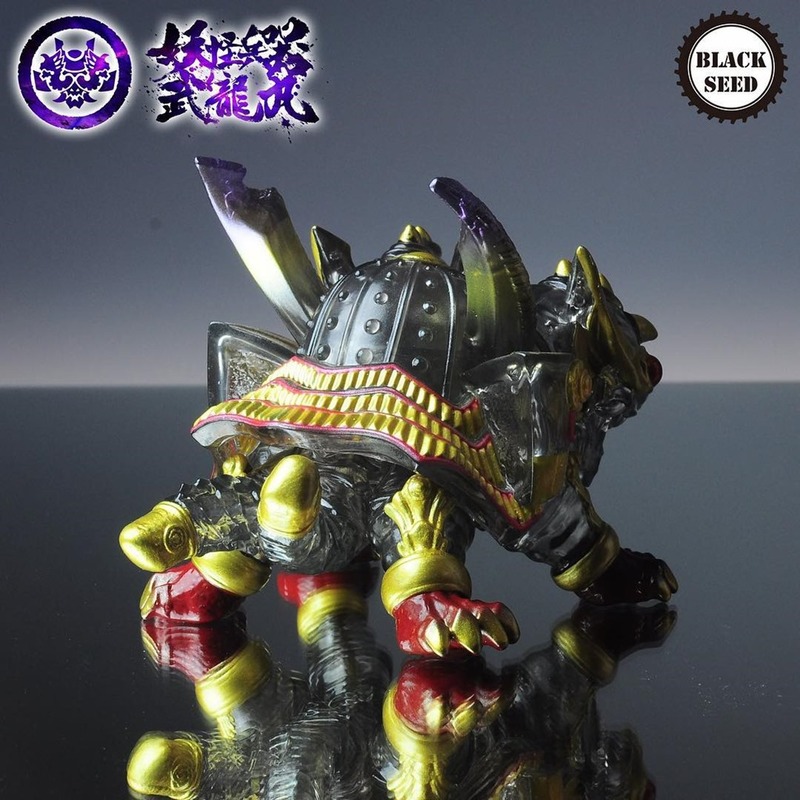 Featuring a silver, red and gold design, the Mini Yu Wu Long soft vinyl (3”) is available exclusively from select retailers: myplasticheart (USA, $54.99), Hipster Toys (HK), Vintage and Vinyl Club (HK), Toy Station (HK), Wrong Gallery (TW), Playtoysforever.co.ltd (TW) and JP Toys (TH). The detail and paint on the Two-headed Mini Yu Wu Long look the equal of the larger version. 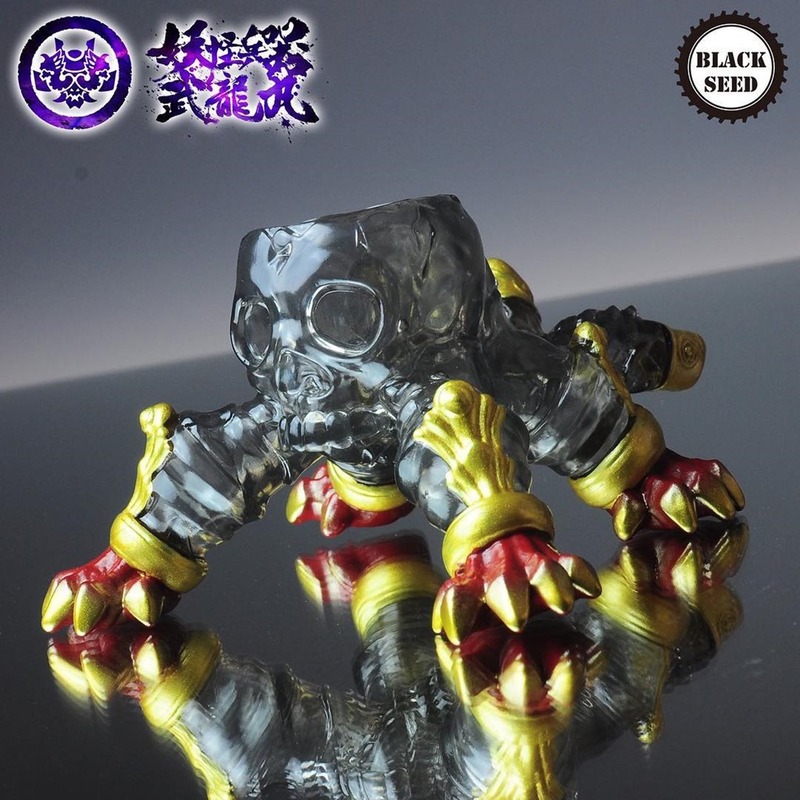 As with its bigger brother, the helmet can be removed to reveal the skull underneath.